Kathleen L. DiSanto focuses her practice on matters related to bankruptcy, corporate restructuring, creditors’ rights, insolvency proceedings, and general commercial transactions. Ms. DiSanto is Board Certified in Business Bankruptcy Law by the American Board of Certification, accredited by The Florida Bar. Ms. DiSanto entered private practice in 2010, following the completion of a two-year clerkship to the Honorable Caryl E. Delano, United States Bankruptcy Judge, Middle District of Florida. 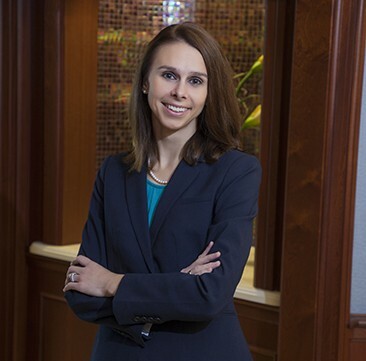 Ms. DiSanto applies the skills she honed as a law clerk to assist clients with a wide variety of tasks, including plan formation and confirmation, bankruptcy motion practice, and corporate litigation. Ms. DiSanto represents business and individuals in a wide array of matters in the bankruptcy, creditors’ rights, and insolvency arena. Ms. DiSanto was born and raised in Northern Virginia.